A comprehensive physical examination is always the start of diagnosing your pet’s illness and often additional testing is required to fully understand your pet’s condition. Diagnostics are an important part of veterinary medicine and are essential in maintaining optimum pet health. Timberline Animal Hospital is equipped with advanced in-hospital diagnostic equipment that allows for early detection, diagnosis, and treatment for your pet. We offer a full spectrum of in-hospital diagnostic imaging and laboratory equipment, access to a full-service reference laboratory for advanced testing, and, when needed, referrals to board certified veterinary specialists. Digital radiography provides high definition without the need to wait for film to develop. 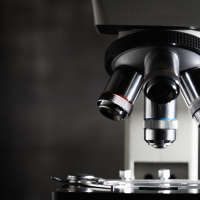 That means fewer re-take films, reduced turn-around time, digital pet records, images can be magnified for optimum viewing, and the high resolution makes it possible for more reliable, high quality diagnosis. Digital images are also easier to share with specialists for consultation when the need arises. There is no more waiting to develop film, allowing for quick and accurate diagnosis for your pet. Because developing chemicals and film are not required, digital radiography is also more environmentally friendly than standard radiographs. Unfortunately, sometimes our pets eat things they probably should not. 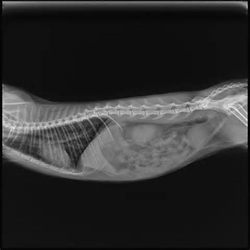 A barium series can be used to enhance the contrast of the stomach and intestinal tract to help diagnose a soft foreign body, like a sock or stuffed animal, that has been eaten but did not show up on a radiograph without the use of a contrast agent. Ultrasound is a non-invasive imaging procedure that allows us to better visualize internal organs in the abdomen and chest (echocardiogram). Ultrasound can also be used to obtain biopsies and fluid samples within the abdominal cavity. Timberline Animal Hospital has access to specialists who perform an ultrasound in our hospital. Would you have a tooth extracted without an x-ray? Why should your pet? 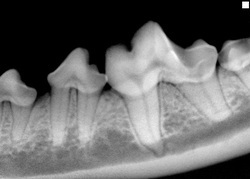 At Timberline Animal Hospital, we offer digital dental radiographs. Digital dental x-rays aid in evaluating your pet’s oral health and detect impacted roots, tumors, devitalized teeth, infected roots, and fractures. X-rays also help our medical team detect abnormalities that cannot be seen through the physical examination alone. They can also confirm the need for tooth extraction when teeth are loose or badly infected. Our in-house laboratory equipment includes serum chemistry, hematology, urinalysis and parasite testing usually with same day results. We utilize a reference veterinary laboratory for specialized diagnostics and consultations. Results are sometimes available within 24 hours depending on the test. Consultation with a Board Certified Internal Medicine Specialist can be added for difficult cases.